Using caution, fry potatoes in small batches turning occasionally to cook evenly until golden and crisp. Between batches return oil to 300 degrees F. Each batch will take approximately 5 to 10 minutes. 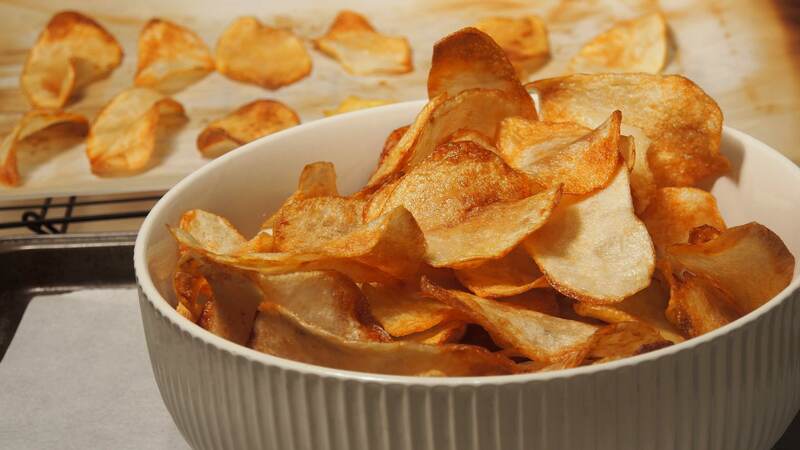 Use tongs or a slotted spoon to remove potato chips and transfer to a paper-towel lined wire rack.